HARRIS, N.Y., January 15th, 2019 — The University at Buffalo has partnered with The Center for Discovery (TCFD), a leading provider of medical and clinical care and education services for people with complex developmental disabilities, to advance critical research in autism and other complex conditions. The partnership will also focus on educating students, professionals and parents through hands-on lectures and virtual teaching; global outreach and engagement to forge collaborations through the SUNY Global Health Institute with leading universities and medical institutions around the world; the development of practices and technologies for healthy living across the broad spectrum of complex conditions; and the establishment of new models of care that support interpersonal treatment and successful outcomes for New York State and beyond. “The combination of programs offered by our two centers gives us a major advantage over other known clinical research settings,” said Dr. Theresa Hamlin, Associate Executive Director at TCFD. “We are confident that there is enormous promise for this collaboration to develop innovative clinical and translational research approaches that utilize health information technology to accelerate the evaluation of biomarkers, drug development and nutritional strategies,” said Dr. Gene Morse, CIGBS Director, SUNY Distinguished Professor in the UB School of Pharmacy and Pharmaceutical Sciences, and co-director of the SUNY Global Health Institute. 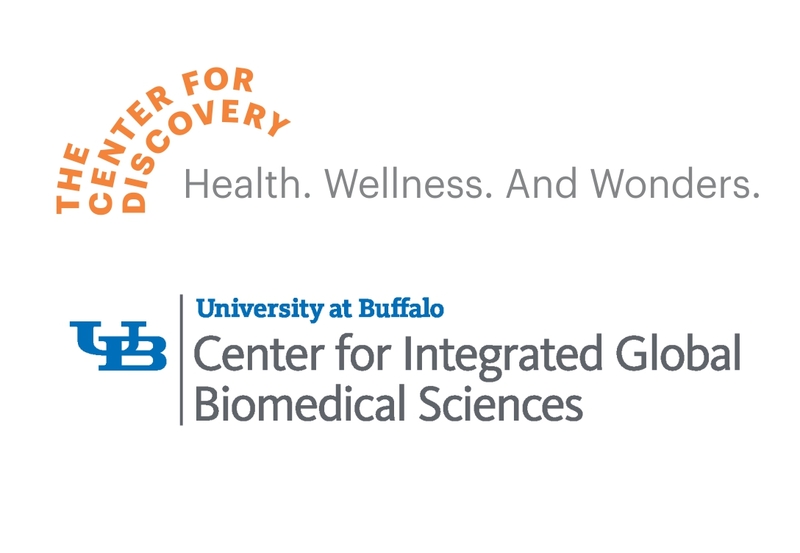 Dr. Morse also envisions synergy with the Drug Development Core at UB’s Clinical and Translational Science Institute, which will support the growing network of UB, SUNY and TCFD researchers focused on autism, cannabinoid sciences research and human genomics. The partnership includes a collaboration between TCFD investigators and Dr. Jeffrey Lombardo, Research Assistant Professor in the School of Pharmacy and Pharmaceutical Sciences and CIGBS Project Director for global cannabinoid sciences and health information technology for patient safety, to examine new treatments for drug-resistant epilepsies. The collaboration is effective immediately and will be led by Dr. Hamlin and Dr. Morse. For more information on the collaboration, please contact Michael Rosen, Executive Vice President of Marketing and Strategic Communications at TCFD, mrosen@tcfd.org; and at UB, Tprc-admin@buffalo.edu, or Marcene Robinson, news content manager, marcener@buffalo.edu.